For all Paul’s efforts, however, the criticism just hasn’t stuck. Indeed, if anything, Perry has garnered attention, both negative and positive, for the ways in which his criticisms of Medicare and Social Security—stated most clearly in his 2010 book Fed Up!—mirror those of his cranky rival from the right. And, in an ironic twist of fate, while Perry is reaping the benefits of such radical stances, Paul, their longtime proponent, is struggling to stay relevant. Despite his third place standing in most polls, Paul gets hardly any media attention. He has almost no friends in the GOP establishment. And when he ends his quixotic presidential bid, he plans to retire from Congress rather than run in his newly redrawn district, which state GOP legislators recently made much more difficult for him to hold onto. 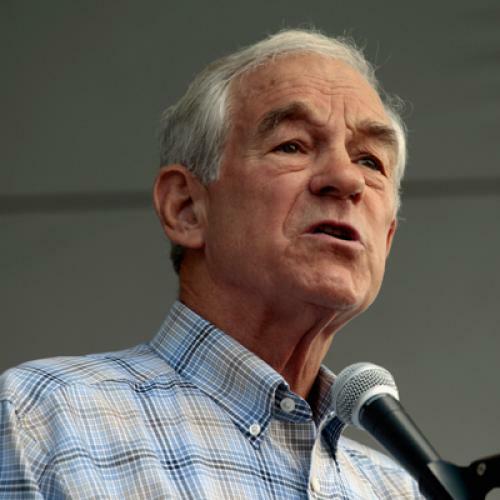 As Jason Stanford, a longtime Democratic campaign consultant in the state, puts it: “The paradox of Ron Paul is that he’s never been more influential or less popular in Texas.” What happened? Throughout his tenure as a Texas congressman, Paul has enjoyed strong reelection rates in his rural district near Houston. He ran uncontested in 2008 and won overwhelmingly in 2010, with over 76 percent of the vote. In his home county, his popularity always tended to be more parochial than ideological. According to Brazoria County’s GOP Chair, Yvonne Dewey, many local Paul voters support the congressmen not because they agree with his views, but because “he’s a nice guy and they know him.” “He’s been here since 1960-something,” she explains. Yet Paul’s local popularity never translated into widespread enthusiasm among his constituents for his presidential bids—and, in fact, such national grandstanding may even have dampened local enthusiasm for the congressman. His 2008 run brought Paul a national reputation and newfound media attention, but in Texas, he received a paltry 66,000 votes of over 1.4 million cast in the GOP primary. Not even his own district backed him—he only garnered 15 percent from Brazoria County. Though Brazoria County GOP chair Dewey does not take positions in primaries, she hardly sounded glowing when I asked about Paul’s poor showing. “He’s always admitted that he’s a libertarian,” she offers. It didn’t come as a huge surprise, then, that when redistricting time rolled around in the 2011 Texas legislative session, the enmity Paul had generated through his national politicking had put him at risk in that dangerous game of musical chairs. Paul didn’t exactly help himself during the process, and even those generally supportive of his efforts took note. “You see other congressmen walking the halls during redistricting,” said Jordan Berry, a Texas Republican consultant with several Tea Party clients. “You don’t see that from Ron Paul.” By the time the new congressional maps were drawn, Paul no longer had an easy-win district. But just as his party moved quickly to leave him without his constituents, Paul’s GOP competitors began sounding more and more like the congressman. “While we weren’t watching,” says Democratic consultant Stanford, “everyone became like Ron Paul over there on the Republican side.” That may be an exaggeration—on issues like foreign policy and the decriminalization of drugs, Paul remains on the fringe. Still, adopting the congressman’s longstanding criticisms of New Deal and Great Society-era entitlement programs has become almost imperative for many of the other GOP candidates. And such opposition has become closely identified with Perry’s rising star, even as Paul faces the prospect of returning home from Washington to his house in Brazoria County—this time for good. Abby Rapoport covers politics and education for The Texas Observer.